Word leaked out this week that Twitter is easing its 140-character restrictions on posts. When I first heard some time ago that they were considering this move, I thought it was insane. The character count is what makes Twitter unique and … well … not Facebook. But, the report on how they’re going to do it makes perfect sense. It makes the service more flexible while at the same time keeping it unique. The changes, which will take effect in the next couple of weeks, will simply modify the way links and pictures are counted. Currently, links take up 23 characters, regardless of how long they really are. Pictures, meanwhile, take up 24 characters. Twitter didn’t yet give specifics of how the change will work because it hasn’t officially made an announcement on it, but a source told Bloomberg that the links and pictures will no longer count in the 140-character limit. Twitter started out with the character limit because back in the day people posted to Twitter primarily via text. It kept the limit even though most people on the service have smartphones. The change, while definitely giving more characters back to people, preserves the concise nature of Twitter. Even after the switch, there will be no rambling tweets. It also encourages users to post more pictures and videos, something it’s hard to do now because of the character limit. 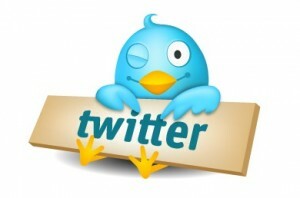 In the end, Twitter keeps what makes it special, but users get more flexibility. This is the proper way to grow and modify a social media service. For an example of what NOT to do, check out what Foursquare did.